A Feminist & A Gentleman. 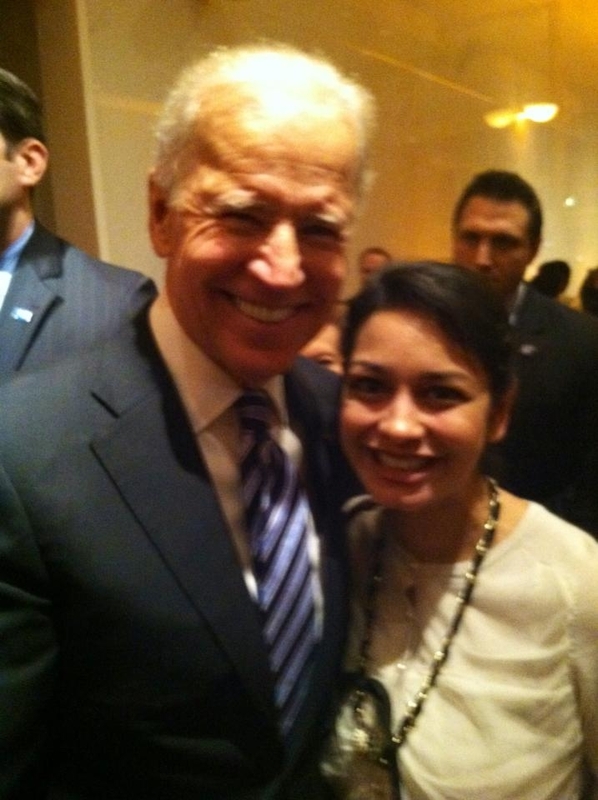 US Vice President Joe Biden & I. There are many things I love about living in Washington. From the cherry blossoms that bloom around the city’s Tidal Basin every Spring to breathing the history that the city’s monuments release. But of course, as any Washingtonian knows, it is the politics of Washington that make DC well, DC. As a feminist policy analyst in the District for almost a decade now, seeing Senators, Congressmen and Congresswomen is nothing new. Just like New Yorkers do not blink at the movie-stars who live in their midst, Washingtonians do not look twice at politicians. 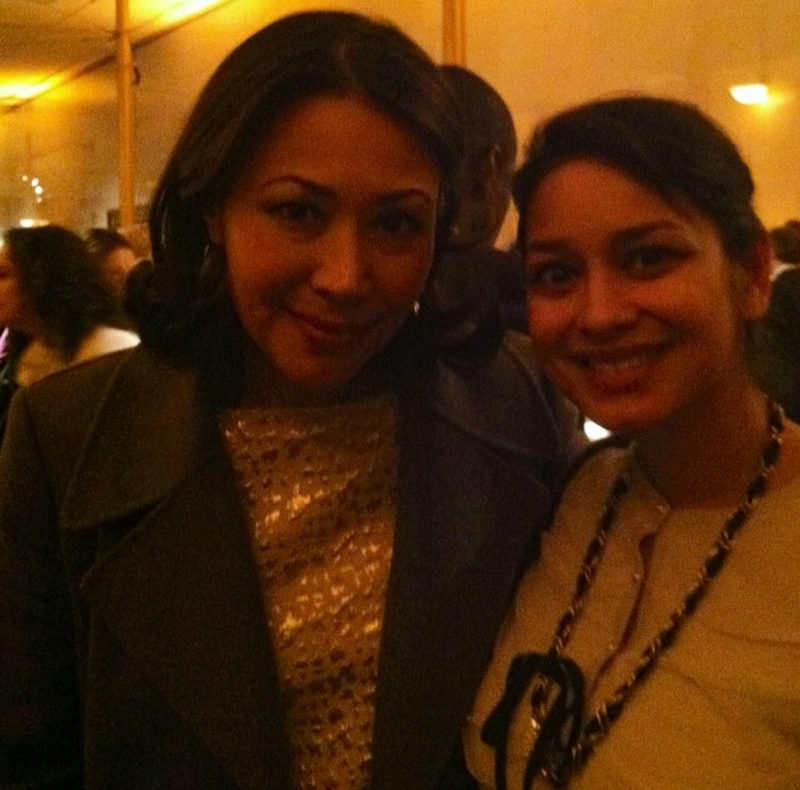 However, this week I had an encounter with a politician at the Annual Kennedy Center Honors Vital Voices Awards who definitely made me look, and think, twice. Every women’s rights advocate working on legislation knows that we have a strong ally in Vice President, Joe Biden. He has been “blazing the trail for women’s rights with his legislative contributions” for decades, from the Violence Against Women Act (VAWA) to the Women’s Treaty known as CEDAW. The personal tragedy that Biden suffered as a father and a husband is not a secret. In 1972, just a week before Christmas, Biden’s first wife and 13 month-old daughter were killed in a fatal car accident. To this day, Biden does not work on December 18th, the anniversary of their death. 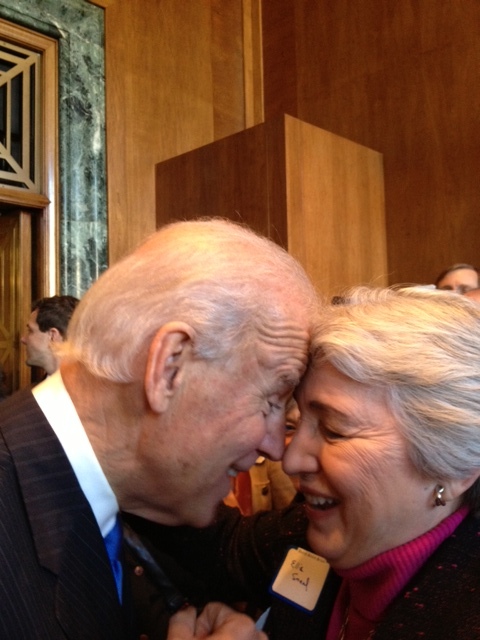 Joe Biden With American Feminist Icon, Ellie Smeal, My Boss & Long-Time Mentor. In the marble halls of the Kennedy Center’s Opera House, women and men clamored to get a picture with the Vice President of the United States. Biden took the time not only to take photos with each person, but also spoke with everyone who approached him. I went up and introduced myself, thanked the Vice President for his work on behalf of women and girls around the world before asking for a photo. I do not think I ever met a more accessible, humble, kind or approachable politician in my life. I have actually met more Capitol Hill Staffers and Senators’ Chiefs of Staff with bigger egos than the current Vice President of the United States. Biden not only gracefully obliged to take a photo with me, he waited to make sure the picture turned out okay, and even asked me if I was happy with it. He made all the crowds, security and scores of Secret Service men around us seemingly disappear. Living in Washington, after awhile nothing surprises you. There is no shortage of political scandals, corruption, elections or egos in the District. But meeting a politician, a feminist who is also a gentleman? Now that is something I do not see everyday, in DC or anywhere. Beautifully written Anushay ..I didn’t know about our Vice President’s tragedy about his wife and daughter ….You doing a great job and we all are watching u growing as a beautiful women with so much compassion about women …I wish to tel u my story and my journey of life ..maybe one day when we met ..its quite a story …Take care sweetheart I wish u the best in Life and a gr8 success .Love you. Thank you, Khala! I would love to hear our story. Nothing inspires me more than the women in our family, strong survivors, each in our own way. Thank you for reading my work and for your support. The hilarious thing about your blogpost is that you do not tell us what exactly makes Jo Biden a feminist other than his involvement with the violence against women act. The definition of feminist is so watered down these days. Apparently everyone is a feminist these days.